The Monterey neighborhood of Villa Del Monte/Del Monte Grove/Laguna Grande stretches from the shore of the Monterey Bay to the north, Fremont Street to the south, Roberts and Virgin Avenue to the east along Roberts Lake and Laguna Grande, and is bordered by Del Monte Lake and open space to the west. The neighborhood is comprised of affordable homes, many of which are older construction built in the 1930’s and 1940’s. For those seeking a fixer upper and investment upside, homes here can be bought at reasonable prices and renovated or there are many turn-key homes as well, all offering a solid Monterey neighborhood with accessibility to the charms and vast recreational opportunities along the dynamic Monterey coast. As of February 24, 2015 homes in Villa Del Monte/Del Monte Grove/Laguna Grande range in price from $549,000 for a 2 bedroom, 2.5 bathroom home with 1,466 SqFt of living space on a 7,495 SqFt lot to $345,000 for a 2 bedroom, 1.5 bathroom condo with 900 SqFt of living space. Click here to view all homes for sale in the Villa Del Monte/Del Monte Grove/Laguna Grande neighborhood. 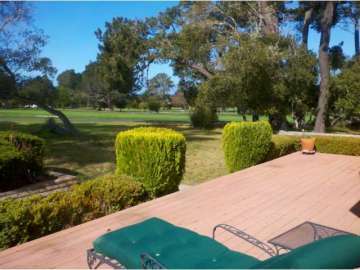 For all available Monterey real estate, click here. In 2014 25 homes sold in this neighborhood. The most expensive home sold for $526,000 for a 3 bedroom, 2 bathroom with 1,261 Sqft of living space on a 5,000 SqFt of lot, while the least expensive was a 612 SqFt affordable housing unit, which sold for $105,000. In 2013, the most expensive home sold in the neighborhood was a 1,600 SqFt home on a 11,500 SqFt lot, which sold for $600,000, while the least expensive was a 612 SqFt affordable housing unit, which sold for $100,000. In 2012 there were 27 home sales in the neighborhood of Villa Del Monte/Del Monte Grove/Laguna Grande. The most expensive home sold for $499,000. This 3 bedroom 2 bath home on Del Robles Avenue had 1,824 SqFt of living space and was situated on a 6,480 SqFt lot. Built in 2002 this short sale home had a wonderful floor plan, lots of natural light and a yard with private patio. The least expensive sale was also a short sale in the amount of $130,000 for a home in distressed condition. For a detailed analysis of Monterey real estate, check out our monthly Community Market Reports. To live in the neighborhood of Villa Del Monte/Del Monte Grove/Laguna Grande is to live in the beautiful city of Monterey, a coveted coastal town with historic charms, amazing beauty and a location unique to itself which draws thousands of visitors to its sparkling blue bay. Life in Monterey is relaxed yet active and your sunbelt location free from the foggy gloom will offer days filled with mild temperatures and fresh ocean breezes. There is always an event to check out along the Peninsula, from golf tournaments and the famed Concours d’Elegance in upscale Pebble Beach to the Feast of Lanterns in Pacific Grove to countless musical and performing art events. For outdoor enthusiasts there is perhaps no location that rivals the pleasures of Monterey from kayaking, surfing and scuba diving in the rich underwater world of the bay to cycling, jogging and hiking along the coastal trails. Your location near the beach will also provide for fun along the shore relaxing or playing in the pristine waves. There are a number of parks to play in with the kids or to simply grant you peace of mind and rest. Every day conveniences will be taken care of with ease with an abundance of shops at nearby Del Monte Shopping Center, numerous grocery stores and pharmacies and excellent restaurants for a memorable meal out. There truly is something for everyone to enjoy in Monterey and your quaint neighborhood will be a truly perfect home base for enjoying the sights and sounds, entertaining friends and family and becoming part of this wonderful community.